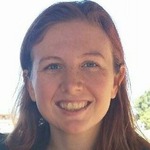 Megan is a Postdoctoral Researcher at Indiana University with Mike Lynch and Jay Lennon. She considers herself a genome detective: looking for small changes in DNA, which cause large changes in how organisms behave and interact. Her favorite food is popcorn and she basically views it as a food group at this point.